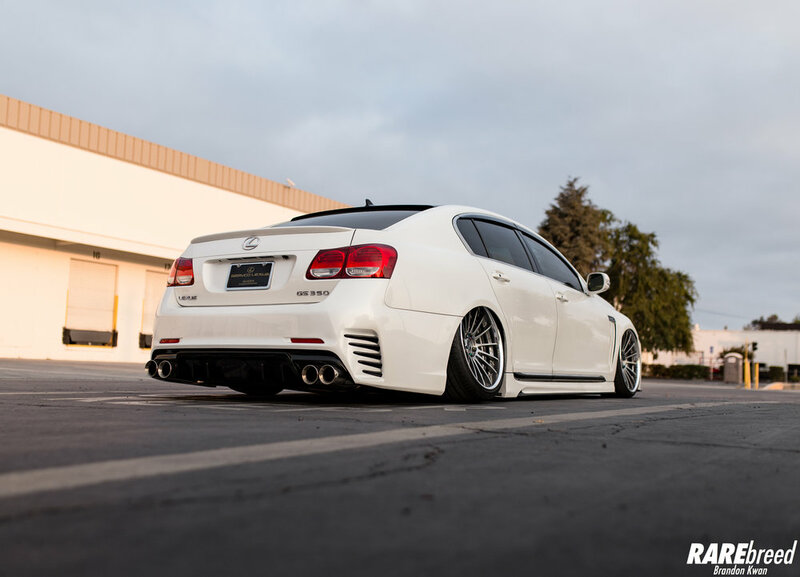 The Lexus GS Platform has had many face lifts through the model's life. Despite the changes, one thing remains amongst all of them- a pure luxury big body sedan. 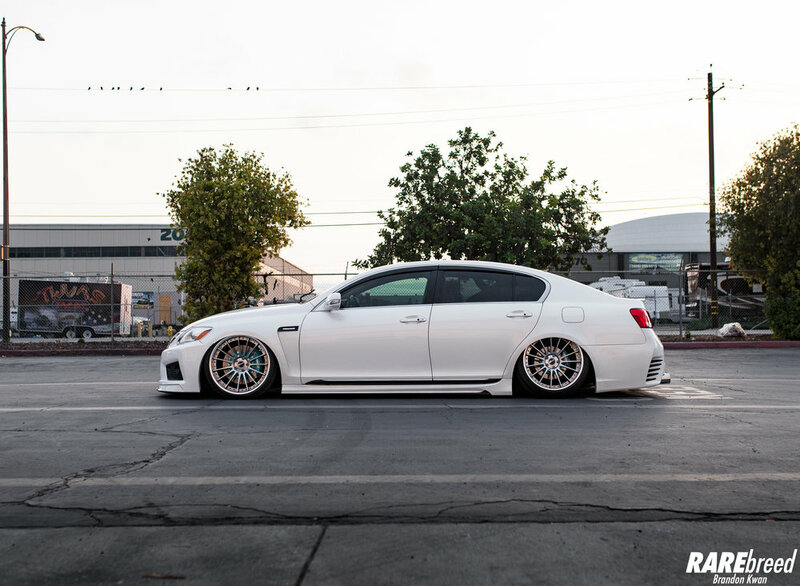 Not to get confused with the LS model, the GS has a more sport oriented look while remaining classy. 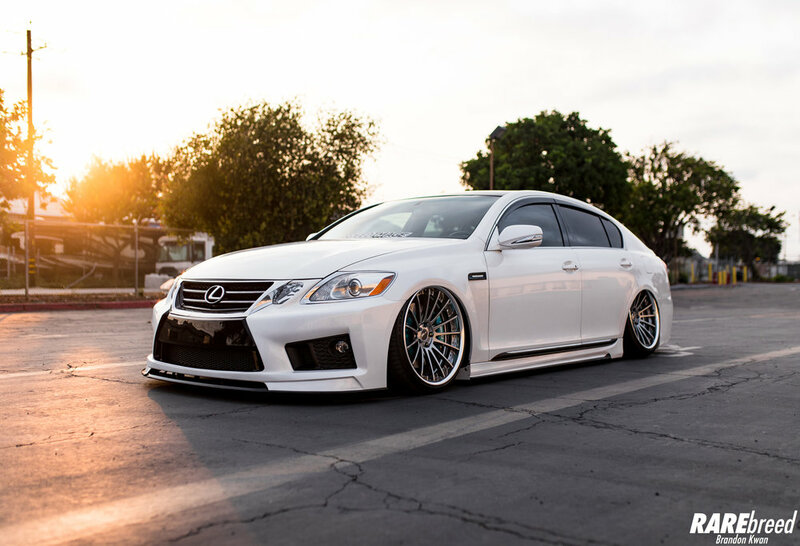 Tom, owner of SpeedImage USA out in Fremont, California, has built his car from the ground up with various authentic Japanese goods. 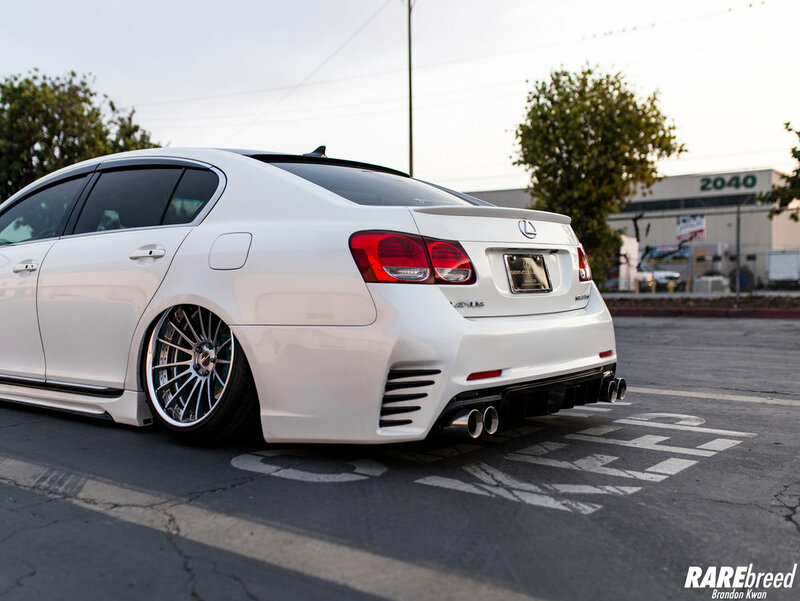 Ranging from a full Aimgain International Body Kit to Project Mu Big Brakes, this Lexus has it all. 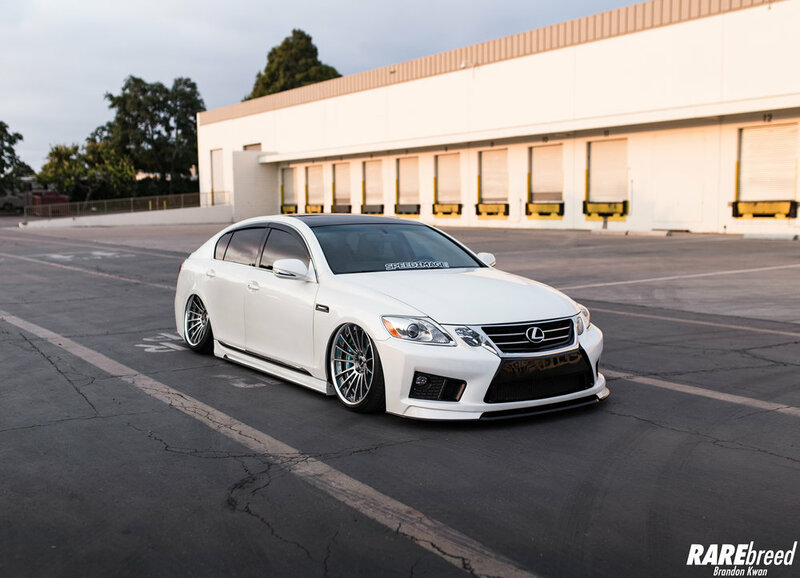 For starters, this white is not your OEM Lexus color. 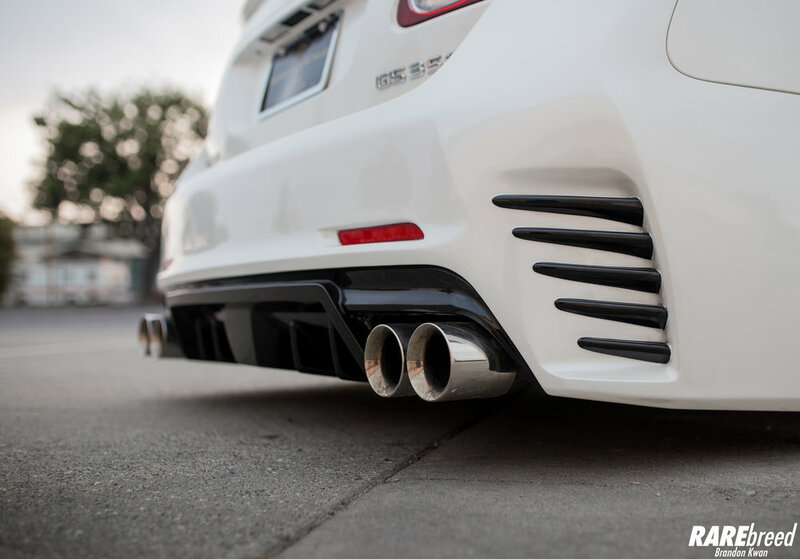 Starting out from OEM Mercury Silver, Tom had the entire car re-sprayed with a custom Pearl White off of a Ferrari 458 Italia by Garageworks in Hayward, California. 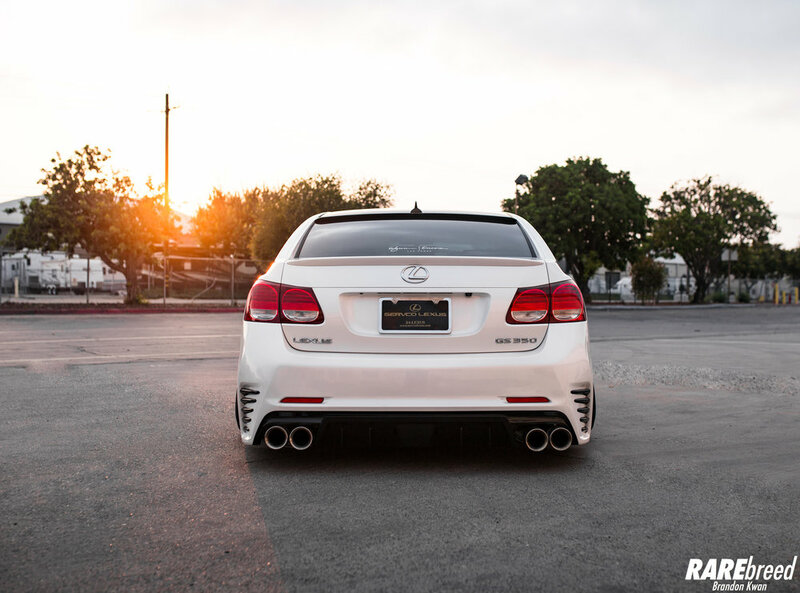 The Aimgain International rear bumper and Prussian Blue front grille really set off the aggressive nature of this car. Stopping power provided by Project Mu BBK. SpeedImage USA is your one-stop shop for all needs. 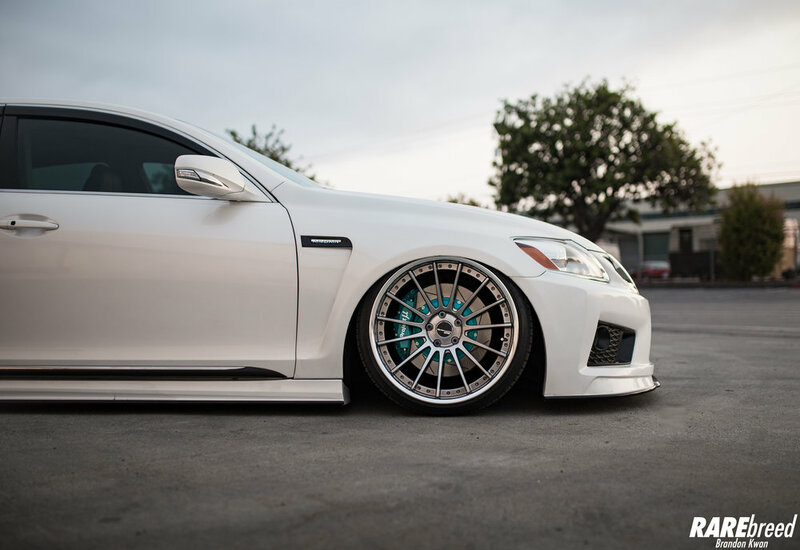 Whether it be a new set of wheels, bodykits, or lug nuts, they got you covered. The Universal Hanging Bracket by #Becausebags allows you utilize your entire trunk! 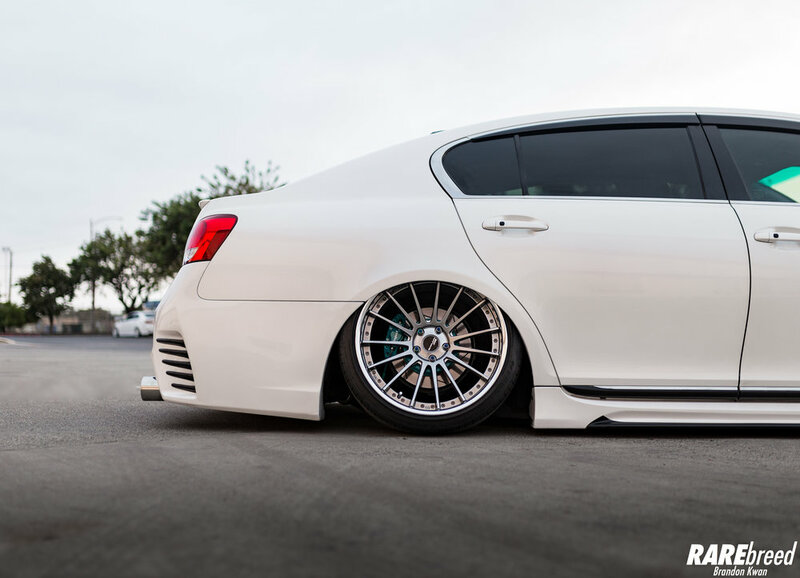 Tucking 20" SSR Executor CV04 with ease thanks to Airlift 3P and D2 Air Struts. 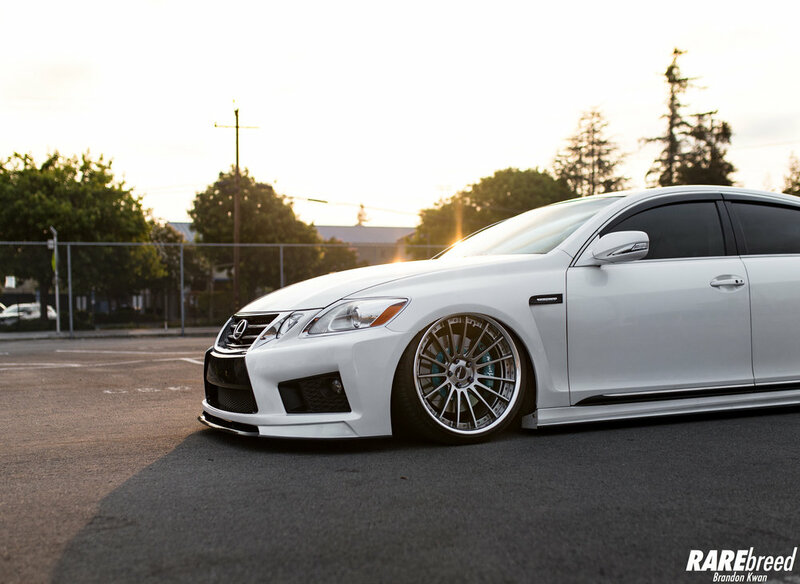 Exterior styling brought to you by a full Aimgain International Body Kit. Be sure to follow Tom and his build on Instagram!